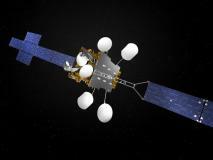 Thales Alenia Space put on track its Spacebus Neo product line. We are delighted to put on track our Spacebus Neo product line thanks to the fruitful cooperation and strong involvement of all the industries and agencies teams. More robust, more modular, more powerful, more innovative, more flexible, this platform is perfectly adapted to operators’ expectations in the evolving telecommunication market, and particlularly well positioned for very demanding VHTS missions. -Bertrand Maureau, Vice President for Telecommunications at Thales Alenia Space. Thales Alenia Space announces that a major milestone for Spacebus Neo development has been achieved and put on track the qualification and manufacturing of this very innovative product line. Thales Alenia Space has initiated the development of its brand new telecom satellites product line with the aim to deliver the most attractive solution for geostationary satellites to meet operators’ needs in the highly competitive worldwide satcom market. This product line is supported jointly by the European Space Agency’s (ESA) ARTES programme of Advanced Research in Telecommunication Systems, and France’s space agency (CNES). Already 4 flight models have been ordered by commercial and institutional Customers , with a first launch scheduled in 2019. • a customization for all payloads, including digital solutions and Very High Throughtput Satellites (VHTS). • XPS (Xenon Propulsion System) module is being assembled in Thales Alenia Space in UK, avionics module integrated in Thales Alenia Space in Cannes facilities and first payload module parts have been delivered to Thales Alenia Space in Toulouse facilities. “As part of our ARTES Neosat programme, Spacebus Neo is a prime example of an effective partnership between European Industry and ESA/CNES Space Agency teams promoting innovation at all levels of the value chain, and resulting in a first class product capable of competing in this challenging and ever-changing market,” said Magali Vaissiere, ESA Director of Telecommunications and Integrated Applications. “Since decades Spacebus product line has been a great success, with continuous support from CNES both for commercial missions and dual or military missions. The Spacebus Neo new generation includes the full electric capability which enables increased capacities at lower costs. This program funded by CNES, PIA (Plan d’Investissement d’Avenir) and ESA will be flight in the coming years by major commercial operators and French defense”, said Marie-Anne Clair, CNES Director of Orbital systems.